Vision of Helping Hands Family to set up a children village in Uganda/East Africa. 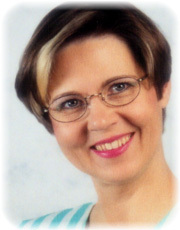 Many years ago, Christine Fenboeck had a dream one night: «I saw little children about to sink in a lake ... They cried for help ... I never forgot that dream». In 1999, Mrs. Fenboeck received a letter from Uganda, East Africa, written by a young girl and her four siblings who had lost their parents through AIDS. After their father had died, the eldest daughter, at that time 16 years of age, took care of her sick mother and her sick baby-sister until both also died. All five surviving children - deprived of further education and financial income - had few chances for their future. They cried out to God and He heard them: While searching for someone to be willing to help financially, the eldest sister miraculously found in a waste paper basket in Kampala a catalog-page listing Austrian environmental companies. That catalog listed the company of Mr. and Mrs. Fenboeck. The girl took courage and wrote a letter to Mrs. Fenboeck explaining her situation and asking for support. Mrs. Fenboeck decided to help those children, visited her and the siblings, and since then she has been financing the education of orphans in Uganda. Today, the once small beginning has become a growing project with a clear vision. As we wish to be the Helping Hands, helping the Ugandan people to establish these projects themselves, they will maintain their African lifestyle and raise young people who understand the needs of their fellow citizens. From a small beginning Helping Hands Family has grown into a thriving organisation.